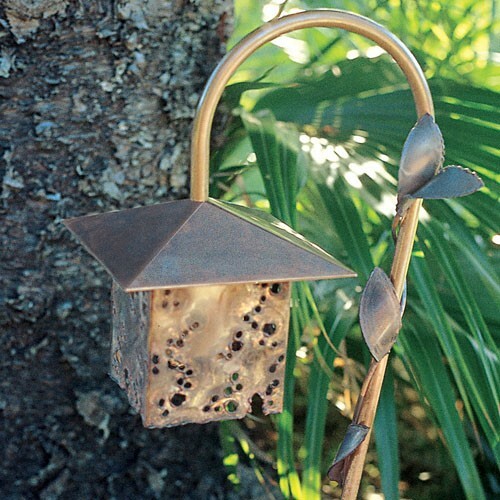 Florida features a solid copper crook with copper vine. Traditional lantern with pierced sides create a sparkle in your landscape. Open bottom for easy maintenance. Coordinated wall sconce available.